Last May, Costa Rican environmentalist Jairo Mora Sandoval was murdered while attempting to protect leatherback turtle nests on the beach. A year later, with this year's leatherback nesting period looming, environmentalists are concerned that the beach will return to a state of danger. The Tico Times, a Costa Rican newspaper, asked the Environmental Ministry about plans for this year's nesting period, and whether they will provide regular protection on the beach itself. "We don't have any plans to do that," replied a representative, instead noting that a few organizations, like the Coast Guard and Education Ministry, will provide sporadic sweeps. 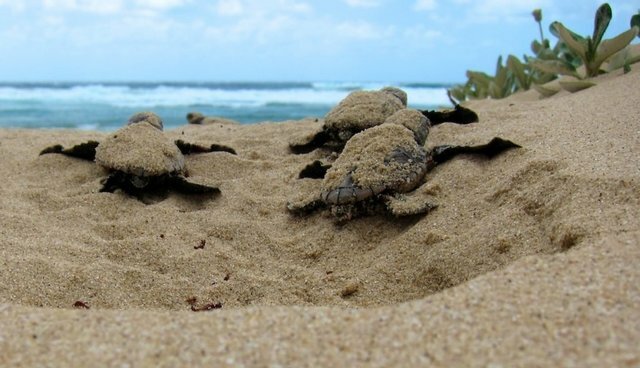 Environmentalists say the Environmental Ministry needs to dedicate federal enforcement to patrol the beach, and that without intensive, regular protection, the turtles will be in danger. "This problem will not be solved until they send members of the government to protect the turtles," said Didiher Chacón, Costa Rica's director for the Wider Caribbean Sea Turtle Network. Vanessa Lizano, who runs the state-sponsored animal rescue group for which Sandoval worked. "I'm just devastated," she told the Tico Times. "At this point it's the poachers who rule the beach and we can't do anything until the police or the government try to stop it." Though Costa Rica is generally considered the most environmentally friendly country in Latin America (and has been ranked the greenest country in the world), it still struggles with appropriate protection. The Caribbean coast is a major nesting site for sea turtles, especially the critically endangered leatherback, and the country has outlawed poaching their eggs. But there's still a thriving trade in turtle eggs, prized as an aphrodisiac. Turtle egg poaching has been linked to the drug trade -- poachers can earn up to a dollar an egg which adds up to a lot in a country with an average income that's less than $12,000 a year. Conservationists patrolled the beaches to protect the turtle nests, but were routinely threatened or held hostage at gunpoint by poachers. A petition to bring attention to the problem has gathered over 160,000 signatures. Environmentalists have proposed that the area be declared a national park, which would entitle it to federal protections, but the people who live along the beach oppose this.